While it might not be the holiday season quite yet, it will be here before we know it. Maybe you’re one of those people who get all of their holiday shopping done in the middle of summer, while the rest of the crazies wait until the stores have been thoroughly picked over with just scraps left to choose from. (FYI- I am not a procrastinator in this area, but I do need to get more organized.) Whether you’re already planning ahead, or have other celebrations to attend before the holiday season kicks into full gear, I’ve found some fabulously festive ways to get those gifts wrapped DIY style. Make sure to bookmark these ideas so you can use them again next year! This DIY wrap idea is so simple, but it really makes the gifts look like a lot of work went into styling them. 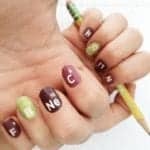 Obviously I love this because my middle name is rainbow (not really, but it should be), but it’s also so creative! 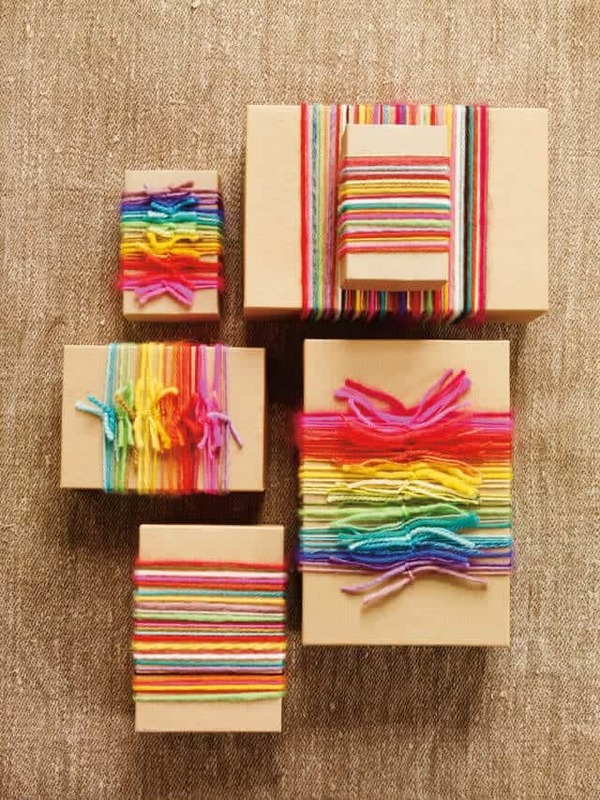 All you need to do is take a plain gift box and wrap thin pieces of knitting string around it. Cut them into equal lengths and tie into a knot. You get to be the designer and choose which colors to use in which order, and whether or not the knots go on top or bottom. So easy. So genius. 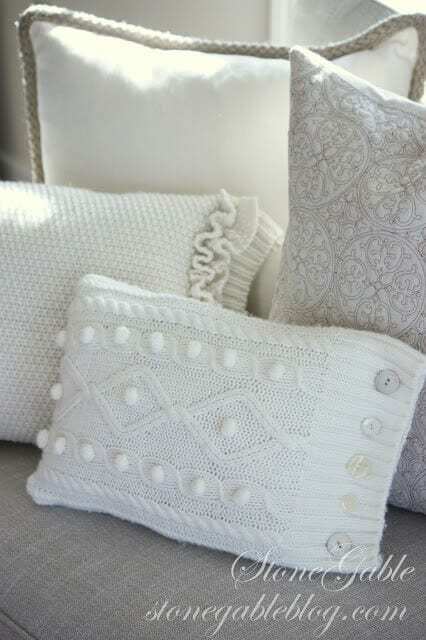 Find more fun knitting craft ideas over at Abrams Craft. 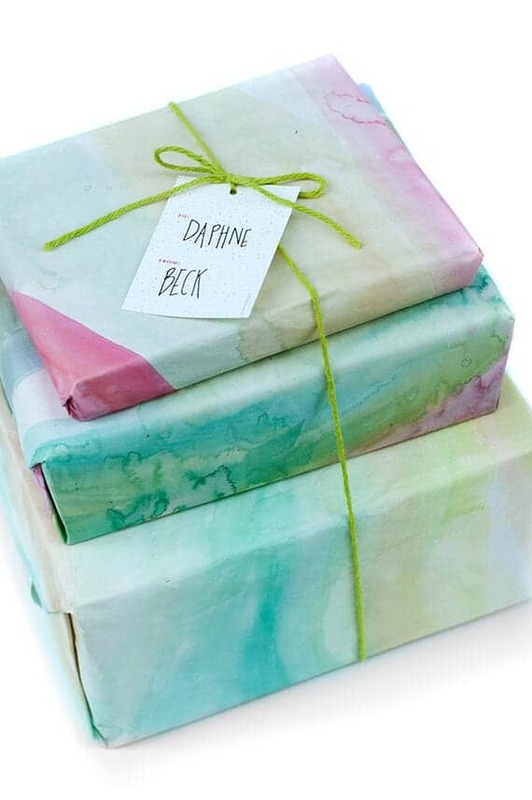 Another easy gift wrapping idea that I love is using watercolor paints to create a fun tie-dye looking wrap with butcher paper. That’s really all you need. Just pick up these two things at your local craft store, go home and create. You can even get the kids involved in this one- they’ll have a blast! 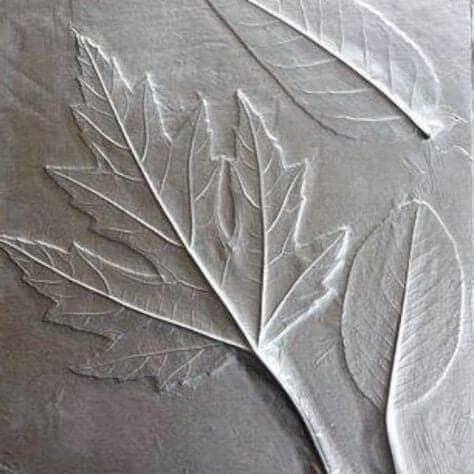 Paint the paper, let it dry and then wrap that gift. If you want to see more of this project and browse other ideas, head over to julep. 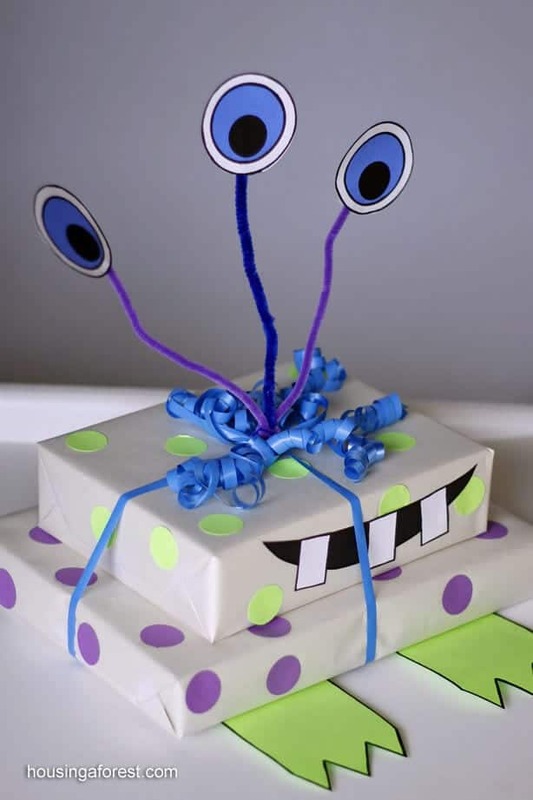 With a few craft supplies and white wrapping paper, you can make a really fun gift wrap that is perfect for a child’s gift. Use your imagination to create a funny, silly, ugly or whatever kind of monster that you want. This is another project that the kids are sure to enjoy helping with. Check out more monster photos and DIY activities for children by popping over to Housing A Forest. You know what else I love besides rainbows? Things that sparkle! 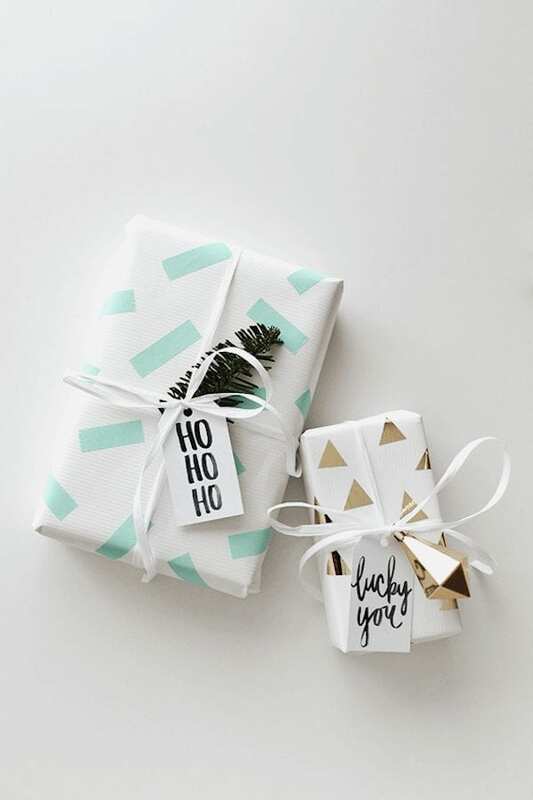 Metallics are big this year, so this DIY gift wrap idea is a great one to try. 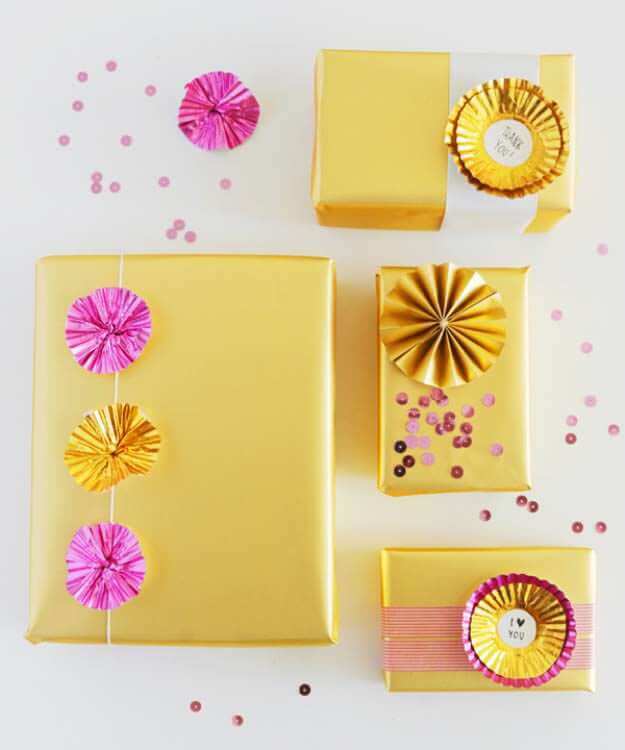 Start with gold wrapping paper, top with foil baking cups and add sequins and washi tape. Be as glamorous or as simple as you want- just have fun with it! I personally think that eating a bag of Reese’s Peanut Butter Cups and using those wrappers would be more delicious efficient, but this works too. Hey look! No, really. Hey Look talks more about this idea, and also shares another fun way to use baking cups. You know that good-intentioned but hideous sweater that grandma got you for Christmas last year? You can “re-gift” it to someone else this year in the form of a gift bag. Really! With a couple of other items, that sweater will go from blah to BAM, and make someone else’s holiday a little more cheery. 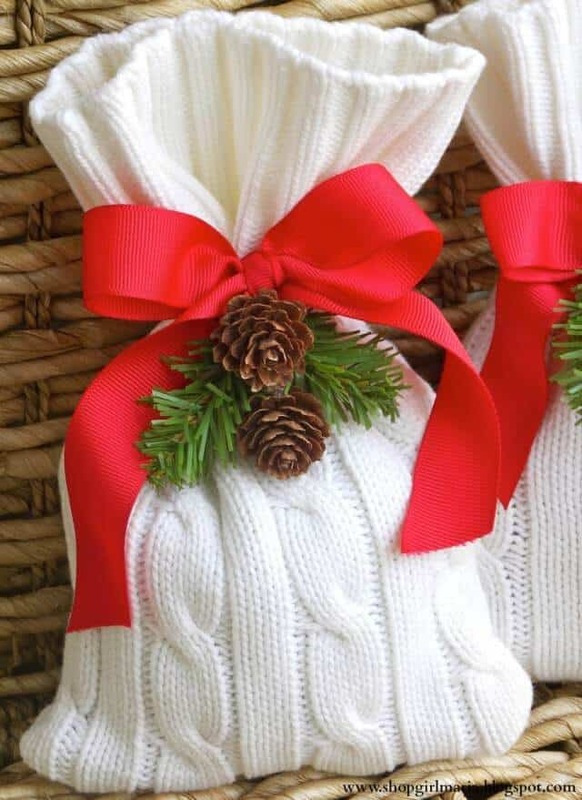 While you’re at it, check out our post on repurposing your old sweaters! 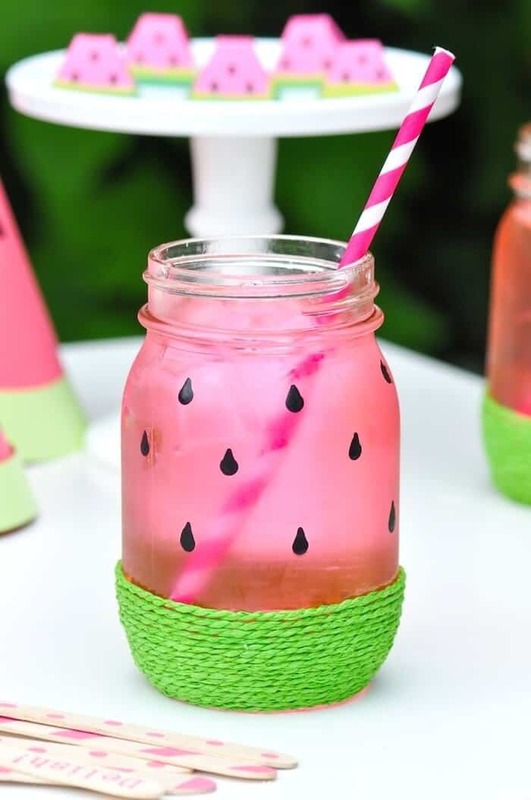 Get the tutorial for this DIY idea over at A Homemade Living. And if grandma asks you why you aren’t wearing that sweater to the family holiday dinner, just tell her it is so beautiful, that you didn’t want to risk getting any figgy pudding on it. Not every gift that you give is going to need wrapping paper. 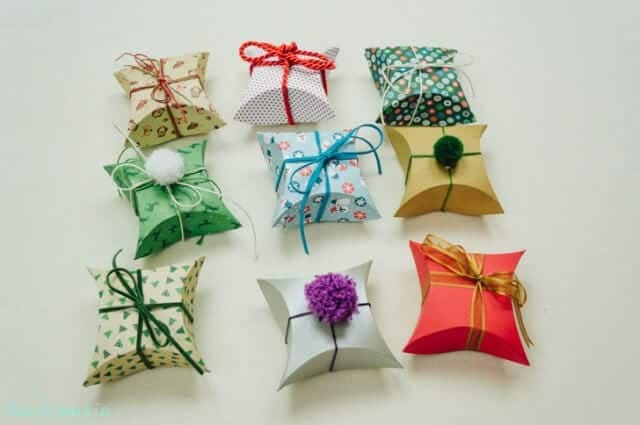 But you can still go the DIY wrap route for smaller gifts with a cute pillow box. This project does take a bit of time and several supplies, but it’s such a cute idea! If you know any guys who are planning to propose this holiday season, maybe you could offer to make a special box for the ring. Just sayin’. Take a look at the video tutorial, and get the full material list at Goods Home Design. What is great about chalkboard projects is that no two are ever the same. You can truly add your own personal touch and that makes it really unique. For the special people in your life, you can customize gifts by writing sweet notes or messages in chalk on the wrapping paper. 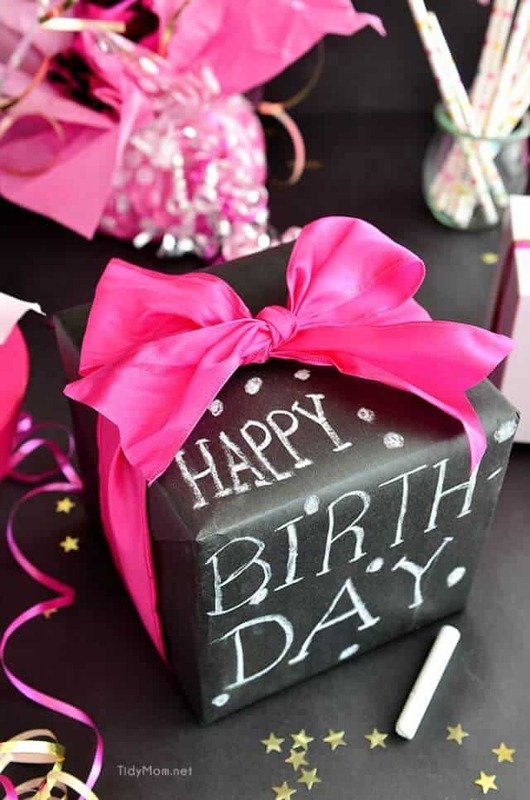 Pick up some black kraft paper and use that as your “chalkboard.” Add color with ribbons or bows, and adorn with stickers or other embellishments to add an extra dose of dazzle. 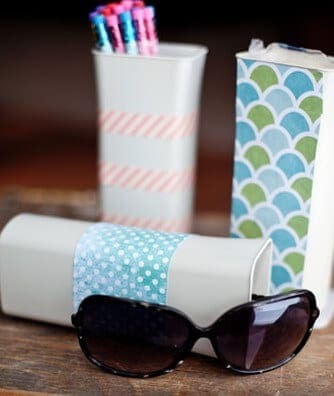 Learn more about this and other craft projects by taking a look at Tidy Mom. Previous article Ask A Doc: Do I Need To Brush My Baby’s Teeth?